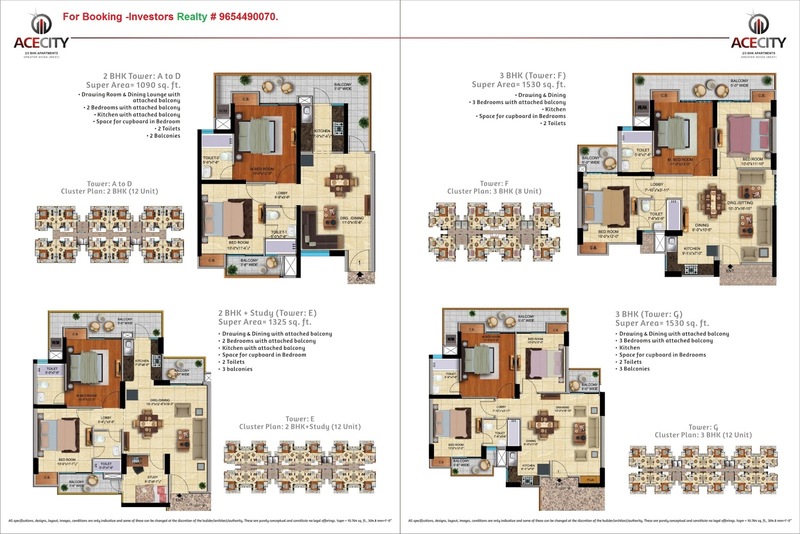 ACE CITY Greater Noida (West) -9654490070. 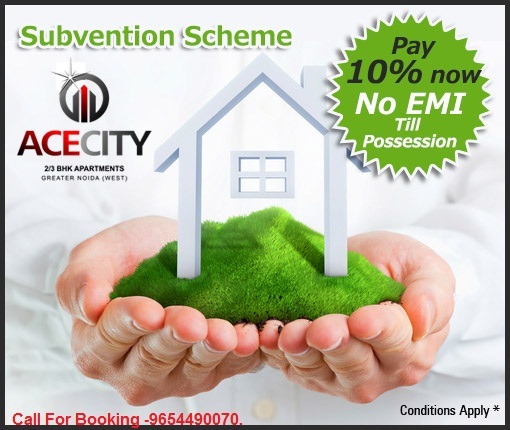 ACE City is a residential project consisting of flats as Saleable Area 1080 Sq.Ft 2 BHK 1310 Sq.Ft 2 BHK + STUDY 1530 Sq.Ft 3 BHK ACE Group has successfully created Infrastructure and Living Environment Blending Precision with Imagination while taking a Holistic View of Life. 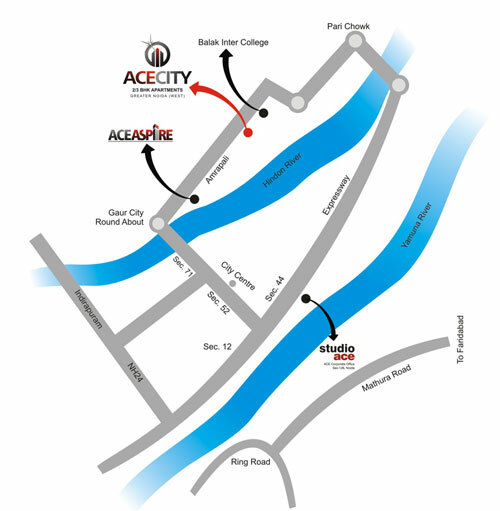 ACE CITY Greater Noida (West) -9654490070. 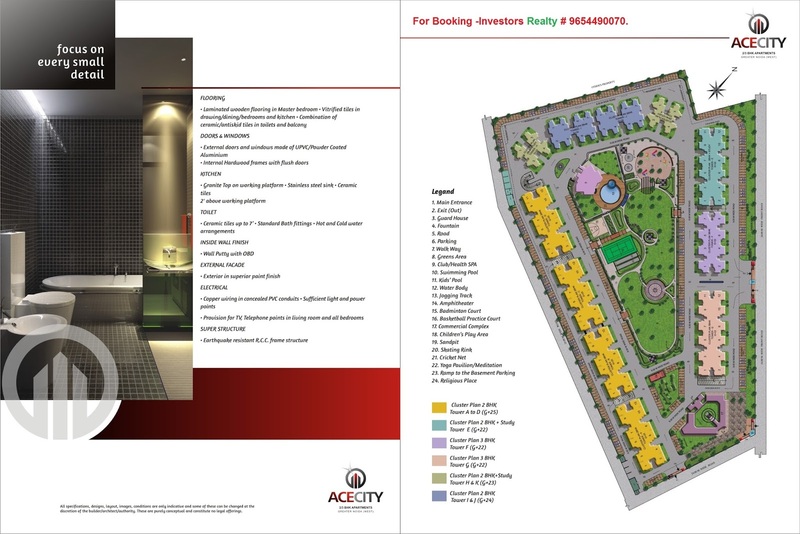 ACE Group has successfully created Infrastructure and Living Environment Blending Precision with Imagination while taking a Holistic View of Life. With 'Best in World' lifestyles, unbounded luxuries, convenient workplaces and everlasting pleasures, We are continuously creating infrastructure and environment that exceeds imagination. ACE Group believes in enhancing life styles of people by innovating focus, technology and techniques by delivering beautiful Residential & Commercial complexes which give a new meaning to the way people carry their day to day activities. No word has ever motivated us as "Quality". We take pride in our workmanship and attention to details when it goes the extra mile with customer expectation.
. Adjoining Gautam Budh-Balak Inter College , Greater Noida (W) and CNG Pump .
. Shopping Malls , 5 stars hotels , Amusement park and Corporate/IT towers will be available within vicinity.
. 03 Side Open, On Road/Corner location, East facing plot and Near to Surajpur Industrial area.
. Member of CREDAI and project is approved by Greater Noida Authority.
. Construction Technology – Will be using DOKA shuttering in structure casting , and around 75% structurewill have concrete and 25% work will have bricks. Proposed Metro Connectivity within walking distance from the project, and 10 minutes form current metro station. School, DPS etc. within 10-15 minutes drive. All Branded Hospital – Like Fortis, Kailash, Max and Prayag Hospital within 15-20 minutes drive. Shopping Malls – Shopprix , Spice , GIP and Centre Stage Mall within 15-20 minutes drive. Pay Now for Booking = 40% of the cost. On Completion of structure = 30% of the cost. On offer of possession = 30% of the cost.
. Construction Technology – Will be using DOKA shuttering in structure casting , and around 75% structure will have concrete and 25% work will have bricks. All Branded School – Global Indian International School, Sapphire International School, Kothari International School, DPS etc. within 10-15 minutes drive. 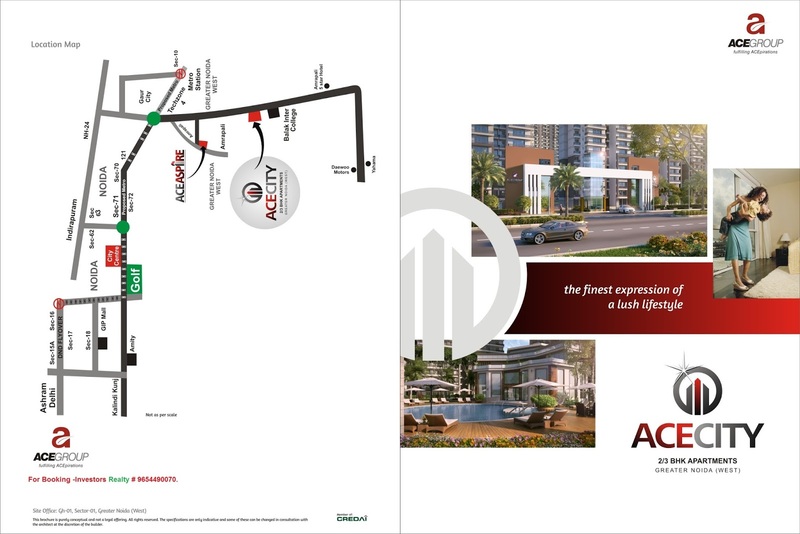 Ace City Greater noida West-9654490070. www.aceprojects.co.in. Simple theme. Powered by Blogger.